This memorandum is in response to requests for clarity from many SAFA Members to the announcement of the US Attorney General on Wednesday, 27 May 2015 regarding claims of bribery in relation the hosting of the 2010 FIFA World Cup in South Africa. The Association is alarmed by the narrative that has developed around its strong support for the South African Government’s inclusion of the African Diaspora in the World Cup legacy projects, specifically in the Caribbean. SAFA joined the South African Government in the fulfilment of this promise to support the diaspora. Implies that none of the programs of the 2010 FIFA World Cup were reported and therefore, leaders are trying to cover up their “misdeeds” by bringing attention to these programmes only now, more than 5 years after the World Cup. That somehow there was something sinister with the way we won the hosting rights to the 2010 FIFA World Cup. The basis of South Africa’s bid was a resolve to ensure that the 21st century unfolds as a century of growth and development in Africa … This is not a dream. It is a practical policy … the successful hosting of the FIFA World Cup in Africa will provide a powerful, irresistible momentum to the African renaissance … We want, on behalf of our continent, to stage an event that will send ripples of confidence from the Cape to Cairo – an event that will create social and economic opportunities throughout Africa. We want to ensure that one day, historians will reflect upon the 2010 World Cup as a moment when Africa stood tall and resolutely turned the tide on centuries of poverty and conflict. We want to show that Africa’s time has come. We were also reminded by Minister Mbalula that the African Union views the African Diaspora as one of its 6 regions, the other 5 being on the African continent. It should therefore come as no surprise that the African Diaspora was included in the benefits of the first FIFA World Cup held on African soil. The leadership of the bid travelled the world to remind all audiences that the 2010 FIFA World Cup had to benefit the entire African continent in one way or another. To top these travels, our world icon, the late former State President, Mr Nelson Rolihlahla Mandela, made one of his last foreign trips on 29 April 2004 and visited Trinidad and Tobago to encourage the head of its football association to vote for South Africa to host the 2010 FIFA World Cup. He undertook this 17-hour trip because of his deep desire to fulfil his dream of hosting the world’s biggest sporting event in our country. Madiba’s personal diplomacy paid off when FIFA decided to grant this privilege to South Africa. There is no denying the excitement and electricity in the conference room at FIFA when delegates learned that Madiba was present in Zurich to possibly accept the honour of hosting the FIFA World Cup. Who can forget that iconic moment where he held up the World Cup trophy on 15 May 2004? Khoza said the Local Organising Committee had “felt it appropriate that we develop a message, a theme that would resonate with the objectives of the global football family as well as the intentions and ambitions of the African diaspora. 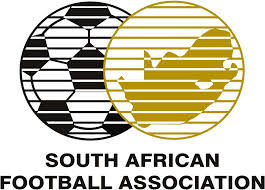 Following discussions between FIFA, the 2010 LOC and the South African Government, FIFA wrote to the South African Government on 19 September 2007 outlining its wish that the South African Bid and the 2010 FIFA World Cup Programme should leave a lasting legacy for football and society. In this letter, FIFA informed the Department of Foreign Affairs of the establishment of the “Win in Africa with Africa” programme and that FIFA had allocated USD70 million for the programme. FIFA also confirmed in the same letter the South African Government’s commitment of USD10 million for the African Diaspora legacy programme, specifically for the Caribbean countries. FIFA also agreed to administer the fund through the FIFA account. South African foreign policy at the time consciously reached out to the African Diaspora to incorporate them into the African Renaissance that led to the bid to host the FIFA World Cup on African soil. In 2004, Fifa announced its vision to “develop the game, touch the world, build a better future”. The first project to follow from this, “Win in Africa with Africa” – which is also the slogan for the 2010 FIFA World Cup – aims to ensure that the entire continent benefits from the event in South Africa. Friday’s [7 July 2006] concert also highlighted Fifa’s “6 Villages for 2006” charity campaign, which aims to fund the construction of six new SOS Children’s Villages in Brazil, Mexico, Nigeria, South Africa, Ukraine and Vietnam, offering a new home to at least 800 children in need. We find it quite surprising therefore that the dominant narrative describes the very popular African Renaissance programme’s African Diaspora support project as a bribe – almost 4 years after the actual vote to grant South Africa these hosting rights. We categorically deny that this was a bribe in return for a vote. It belittles the hard work done by Madiba, Archbishop Tutu, the South African Government and numerous others who sacrificed their time and money and family lives to make our country proud! It tarnishes their images in the most unscrupulous manner. FIFA Executive Committee Members who voted for South Africa in 2004 and who were interviewed by the media at the time all indicated that the tipping point for their support came as a direct result of Madiba’s appeal to them as well as the strength of the South African bid. The “6 Villages for 2006” charity campaign was a legacy of the 2006 FIFA World Cup in Germany and spanned five different continents – and includes South Africa as a beneficiary of one of these projects. If the bribery logic holds any water, then South Africa may also have been “bribed” by Germany to support its 2006 FIFA World Cup ambitions upon receiving one of the “6 Villages for 2006”. This was most certainly not the case! SAFA therefore rejects this narrative and restates its support for the African Renaissance and its inclusion of the African Diaspora in the World Cup legacy projects. We note that the indictment referred to above makes reference to payments made to CONCACAF as a direct result of South Africa transferring funds to FIFA to pay this “bribe”. The indictment notes payments made on 2 January 2008, 31 January 2008 and on 7 March 2008 to the Caribbean Football Union and CONCACAF by FIFA. We concur with Minister Mbalula’s statement that, to our knowledge, the South African Government did not make any payment from Government coffers for this project as it was subsequently decided, in a letter written by Dr Danny Jordaan on 10 December 2007 to FIFA, that the money should rather be taken from the LOC budget and then sent directly to CONCACAF. It is a fallacy that any funds were earmarked for Government by FIFA as all agreements and revenue flows pertaining to the FIFA World Cup are signed between the football association and FIFA. Therefore no government funds were spent on managing the 2010 FIFA World Cup beyond the lasting legacy infrastructure that the country’s citizens continue to use to this day. Minister Mbalula also stated that the African Diaspora as well as the African continent benefitted from the 2010 FIFA World Cup African Legacy Programme. In fact, the SAFA-FIFA World Cup Legacy Trust still distributes funds to football development programmes around South Africa to this day. The US Attorney General’s indictment infers that the Bid Committee or its representatives approved payments for the purpose of bribery. It was not possible for the 2010 Bid Committee to have made or requested payments to be made in 2007/2008 as has been alleged because it closed shop soon after the awarding of the rights to host the 2010 event in 2004. In other words, the Bid Committee did not exist at the time the alleged bribes were made. It is also a fact that the 2010 Local Organising Committee, which commenced its work in October 2004, also did not make any payments in the sum alleged in exchange for a vote as it was not in existence during the bidding process. To suggest that this may have happened tarnishes the good names of those hard-working individuals who were selected to serve the LOC because of their impeccable reputations and credentials. FIFA does not recognise any third parties or organisations apart from the Organising Association and the Government of the host country. The condition outlined in the OAA recognises the partnership between Government, the football association and FIFA on all matters pertaining to the FIFA World Cup, including the African Diaspora Programme. It was SAFA that wrote a letter to FIFA on 4 March 2008 requesting that the funds be managed by the head of CONCACAF, whose position within FIFA and CONCACAF at the time made him the ideal candidate to oversee the implementation of the project in the Caribbean. Hindsight always constitutes 20/20 vision. That it wanted USD10 million to prepare Bafana Bafana for the 2010 FIFA World Cup [granted in 2006]. The request to fund the Diaspora Legacy Programme was therefore just one of several requests made to FIFA for assistance. These requests were made during the hosting period and not during the bidding period and could therefore not be construed as a bribe to someone to vote for South Africa in the bidding process. It is a shame that this noble effort to support football development has now been turned on its head and camouflaged as a bribe rather than recognising the good that it was intended to deliver to the football programs of CONCACAF. The African Diaspora project was – and still is – a genuine expression of both SAFA and the South African Government’s desire to position the 2010 FIFA World Cup as a truly African event that provided great benefits to the African continent and the African Diaspora. As noted elsewhere in this statement, FIFA launched its “Win in Africa with Africa” campaign in 2007. It consisted of the layout of artificial turfs to all African Members of FIFA, training programs in coaching, administration and refereeing, providing support for CAF’s 50th anniversary, developing a DVD on the history of African football, organising a gala match in South Africa in honour of Madiba, etc, etc. It is common knowledge that many bid committees have previously established legacy and other assistance projects – during the bidding phase – to solicit support from member associations as a means of cultivating goodwill amongst prospective voters. However, the South African Bid Committee did not establish such a programme. Instead, all of its resources were spent on establishing principled relationships with the FIFA voters in an attempt to convince them of the strengths of the country – these strengths were so ably demonstrated during the execution of the 2010 FIFA World Cup. Minister Mbalula has also outlined the many programmes that the South African Government has embarked on in the African Diaspora as well as on the continent long before the decision was made to bid for the FIFA World Cup. It cannot be correct for these noble efforts to be tarnished in this manner. It is therefore wrong to state that either the 2010 Bid Committee or the 2010 Local Organising Committee agreed or caused these payments to be made to the conspirators referred to in the US Attorney General’s indictment referenced above. These matters were dealt with between FIFA and its affiliate, the South African Football Association, in terms of the four key conditions for hosting noted elsewhere in this circular. To be sure, it was the South African Football Association, after consultation with the South African Government, who requested that FIFA make this grant to the CONCACAF confederation – long after the bid was won – to support football development in the Caribbean. That the money may have been siphoned off by individuals after it was donated does not make the donor complicit or a co-conspirator as it has been so vigorously described in the public domain. We appeal to all and sundry not to tarnish the intentions of the South African Football Association and the South African Government by deliberate misrepresentation of the facts. The Association has not been approached by the US authorities to assist in its investigations, but stand ready to do so if called upon as it is in SAFA’s interest to root out corruption in the sport – wherever this may occur. We also note the continuing speculation about who are the co-conspirators referenced in the US Attorney General’s indictment. It serves no purpose to conduct this trial by media other than to needlessly destroy the integrity of persons who have worked so hard to secure the World Cup hosting rights for this country – without a single shred of evidence being provided so far. SAFA is therefore looking at its legal options to counter the deliberate spread of disinformation by individuals that seeks to tarnish the only senior FIFA World Cup played on the African continent in the 109 years of FIFA’s existence. We thank you kindly for your understanding in this matter and hope that you will be able to defend your Association against the vigorous attempts to rewrite the history of the 2010 FIFA World Cup in South Africa.